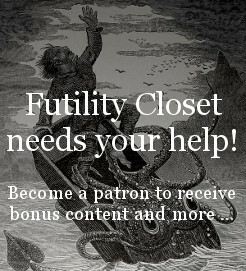 Today and tomorrow, get 20% off everything in the Futility Closet store — shirts, mugs, phone cases, and more. Just use coupon code ANY20. Thanks for your support!